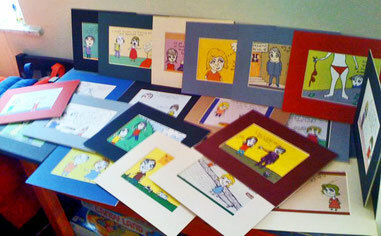 Framed Prints - megandraws's JimdoPage! purchase, on high quality paper in a 5 by 7 inch matte frame. record album-size print & black wooden frame.